Welcome to November. In Seattle, home of Shannon Stephens, this is a tough month; the vestiges of summer are gone entirely, the sun has disappeared behind clouds, and the rain falls sharp and cold. Shannon’s “Cold November” is a perfect respite. Video producer Fish & Crown captured it on film. DM Stith is on piano and Andrew Rudd on extra piano and bells. You can download a similar version over on Noisetrade below. Shannon Stephens is a Seattle-based singer/songwriter with a winding road behind her. Her third album, Pull It Together, is the result of nearly two decades spent traversing a unique musical landscape. 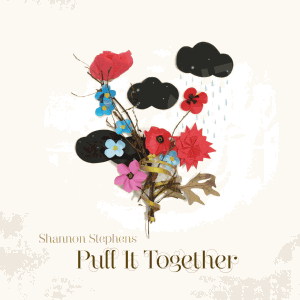 The result of Shannon’s new approach in album-making is a gritty, fluid, and more accessible record than her previous work. Call it pragmatic pop: optimism balanced with the sharp-edged reality of life in 2012.